This morning I got a call from a reporter at SFGate asking for my comments on a story she was writing about a mother in Georgia who recorded herself beating her daughter and posted the video on FB, apparently with the intention of publicly shaming her daughter. And I suppose that the mother's intention behind this public shaming was to change her daughter's behavior. This makes me so sad. You won't be surprised to hear, as I told the reporter, that I think shaming children affects not only their well-being but also our relationship with them. There is a better way. I think (hope!) that this is an extreme example, but it did get me thinking about the ways in which we parents can sometimes shame our children in more subtle ways, without even realizing what we're doing. For example, when we're feeling incredibly frustrated with our kids and we say, "You're making me crazy!" or "What's wrong with you?!" As I write in my forthcoming book, using shame to try to change our kids' behavior will backfire because these strategies don’t focus on the real problem (behavior) and imply instead that the child herself is the problem. This is a recipe for impaired well-being. To be clear, I am not suggesting that parents shouldn’t feel angry or frustrated when our children misbehave, just that we shouldn’t act on those feelings impulsively. We can feel angry without yelling or withdrawing. We can feel angry and still respond matter-of-factly. Enjoyed this post? get more science-based parenting tips in your inbox. "Packed with useful, practical advice and how-to's, this book promises to be one that every parent will wish they had from day one." "An essential Rules of the Road for would be parents." 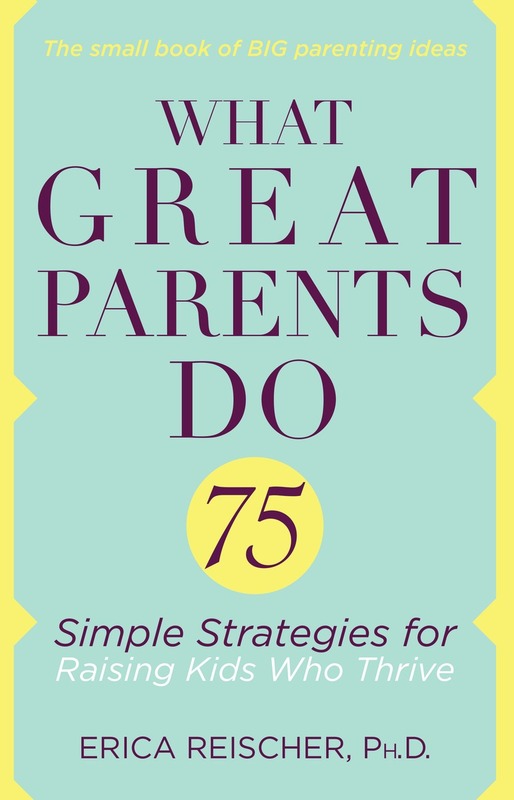 "What Great Parents Do is the only parenting playbook you need. No book has better distilled, science-based parenting tips than this one! If you have only two minutes a day, you have time to pick up a quick strategy for parenting with more joy, skill, and ease. A must read!" You will then receive an email with a link to download 10 THINGS GREAT PARENTS DO. What's Wrong With Having Average Kids?